Every week, we bring you an app that’ll make your life surprisingly easy. Unfortunately, we’ve spent so much time playing the subject of this week’s post that we’re going to have to write about that instead. 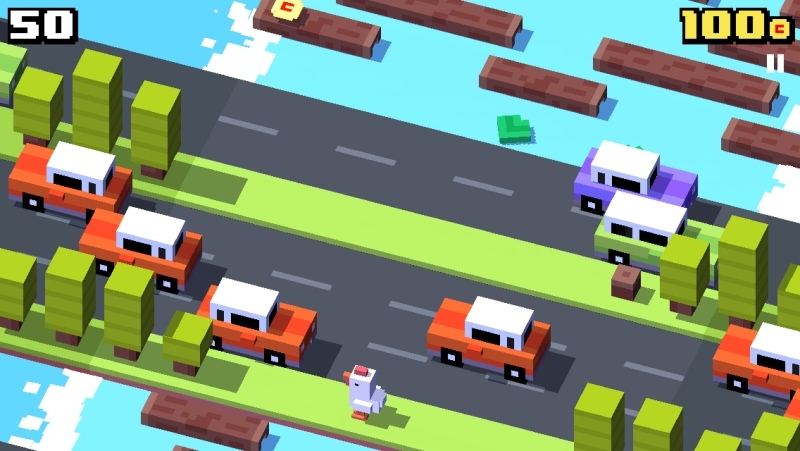 So, here’s Crossy Road, a game that’ll make…erm, relaxing easier? Crossy Road is a 3D update of Frogger. Your objective is to safely maneuver your character (there’s quite a few to choose from, including a chicken, a pig and a Wizard) across a busy road (and the odd lake). Each bit of road crossed gives you a point, with the goal being to score as many points as possible. Crossy Road is surprisingly easy because you only have to tap to move and occasionally swipe left and right. It gets pretty hard as your score increases, though. All of it. We haven’t been this addicted to a mobile game since Angry Birds. Your dedication to Crossy Road may end up costing you your spouse, children and job. But at least you’ll still have Crossy Road. Has your Crossy Road addiction got out of hand? Sell your mobile with musicMagpie! Just click below to get started.